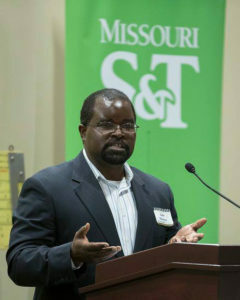 Ted Day, owner and chief executive officer of MO-Sci Corp. of Rolla, and Lister Florence, information technology specialist at the U.S. Geological Survey in Rolla, are the newest members of the Missouri University of Science and Technology Board of Trustees. The Board of Trustees is made up of Missouri S&T alumni and friends whose accomplishments, experiences and interests help guide the university’s future. The board serves as the key advisory group to the chancellor on strategic direction and means to enhance the university’s stature. Its members also serve as ambassadors for S&T and supporters of the university’s philanthropic goals. Day’s company, MO-Sci, is a world leader in precision glass technology, including borate-based bioactive glass products designed for wound care, scar revision surgery, hemostatic bandages and dressings, treatment of acne and related inflammatory processes, and biologically active coatings for orthopedic implants. Day holds five U.S. patents, has published several technical articles and presented his research widely. He is recognized as an expert in business growth, innovative product design and startup companies. A gift from Day and his wife, Kim, established the Delbert Day Cancer Institute at Phelps County Regional Medical Center. Named in honor of his father, a Curators’ Distinguished Professor emeritus of ceramic engineering at Missouri S&T, the institute opened in January 2017. Day earned a bachelor of science degree in pharmacy from the University of Missouri-Kansas City School of Pharmacy in 1986 and received an award of professional distinction from Missouri S&T in May 2018. He is also an honorary knight of St. Patrick. He was elected to the Board of Trustees today (Friday, Sept. 28, 2018). Florence holds three degrees from Missouri S&T: a bachelor of science in civil engineering, earned in 1995; a master of science in information science and technology, earned in 2006; and a bachelor of science degree in computer science, earned in 2007. 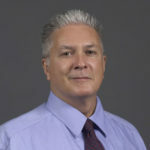 Employed at the United States Geological Survey, his work includes production of high-resolution geo-referenced digital files for the historical printed maps. Florence and his wife, Tuesday, give back to the community and his alma mater through several organizations, including Gideon International, Optimist International (where he serves as East Missouri governor), Riverways Federal Credit Union (board of directors), and Missouri S&T, where he serves as an admission ambassador, a University of Missouri System Legislative Day representative and on the Chancellor’s Advisory Committee on African American Recruitment and Retention. He also has received S&T’s Distinguished Young Alumni award and serves on the university’s recently formed Sesquicentennial Advisory Committee. He has received the Rolla NAACP chapter’s “Yes I Can” Award. 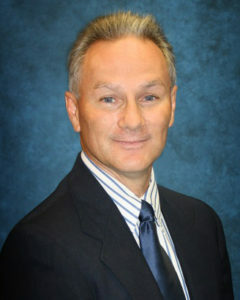 He was appointed by interim Chancellor Christopher G. Maples to the Board of Trustees and began his service last April.